Protection: Arc Rating ATPV 8.3 calories/cm². 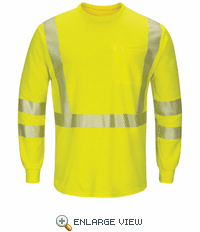 Flame-resistant › 360° visibility with front and back 2" segmented heat seal silver reflective striping › Concealed chest pocket with pencil stall › Full underarm gussets › Rib knit cuffs. 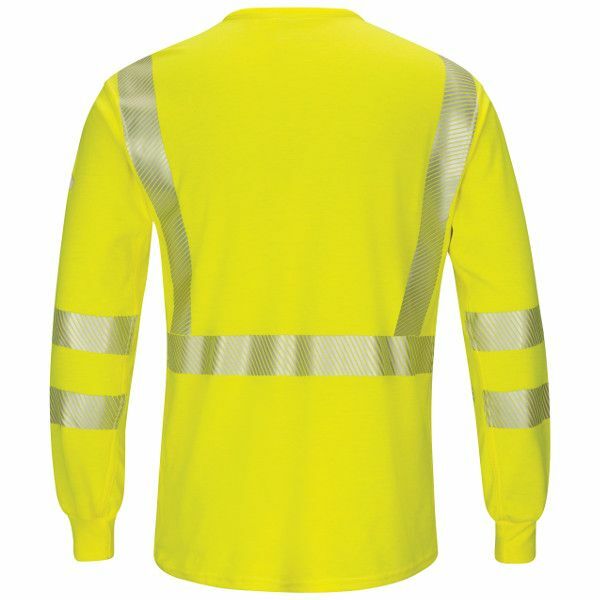 Fabric: Flame-resistant, 6.7 oz. (225 g/m²) 48% Modacrylic / 37% Lyocell / 15% Aramid. Concealed chest pocket with pencil stall. 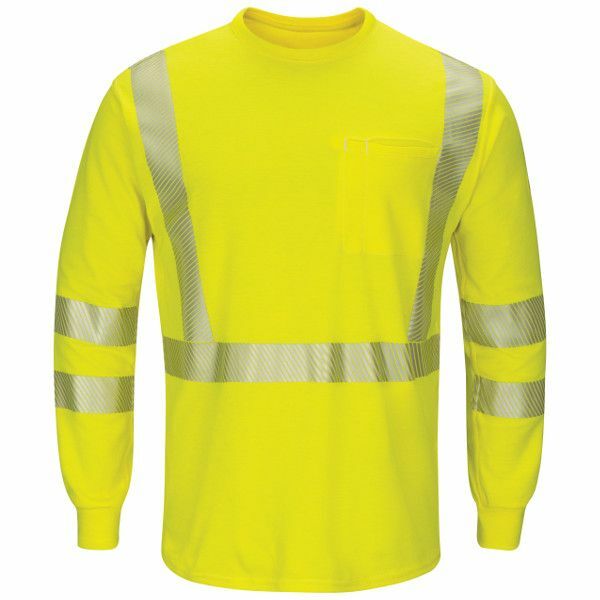 360° visibility with front and back 2" segmented heat seal reflective striping.